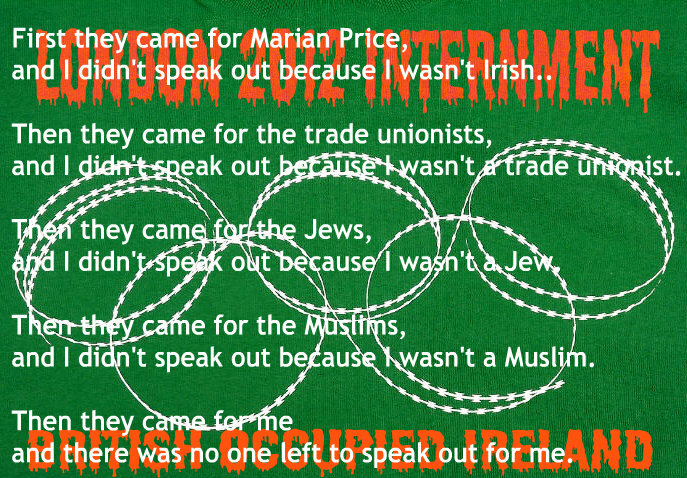 First they came for Marian Price and I didn't speak out because I wasn't Irish. 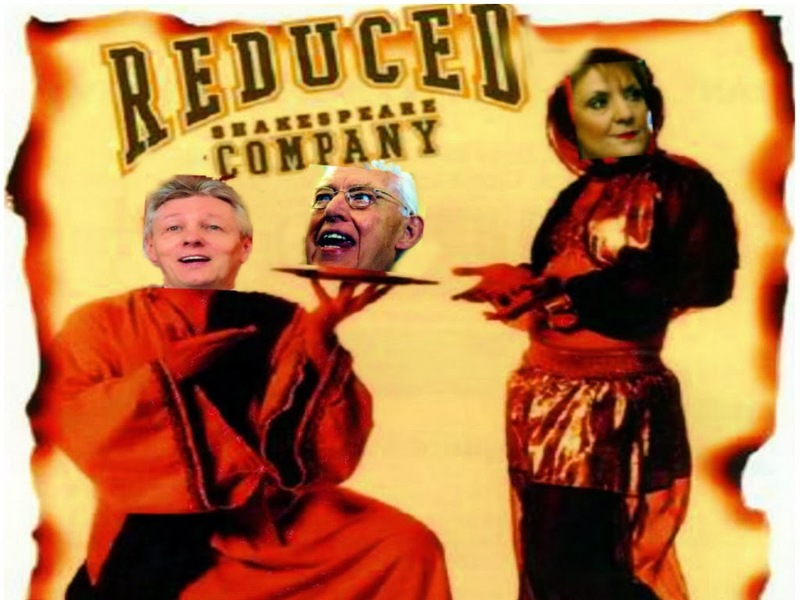 Then they came for the Trade Unionists and I didn't speak out because I wasn't a Trade Unionist..
Then they came for the Jews and I didn't speak out because I wasn't a Jew. Then they came for the Muslims and I didn't speak out because I wasn't a Muslim. London 2012 Hitler Olympics Militarized http://brev.is/9Rb3 — 58,465 views. • She is effectively interned without a trial, sentencMarian Price is just one of several Irish people currently politically interned in British Occupied Ireland during which time lawyers have not been allowed to see any of Britain's ‘alleged’ evidence. British Union Jack flag flies above the building. as the PSNI police stayed clear. Catholic church after the result of the vote was announced. supporters from Scotland and England for a "protest". area well before the vote was taken. days during the year, rather than year-round. British flag to continue to fly on 15 days out of the year (see below). Alliance for the historic shift. Marie Hendron from Alliance said the violence had been orchestrated. to have been confronted and intimidated by the mob. come into the back of City Hall. Mr Kelly said he would be raising what he described as "major failings"
at a meeting of the Policing Board on Thursday. He said: "I am angry because it's not as if they were taken by surprise. to affect people in different ways. that it could turn ugly."